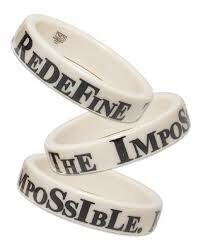 I have a bracelet that says "Redefine the Impossible". This is what the clients, client families, staff, donors, and volunteers are doing every single day at Sheffield Place. About six years ago an invitation to “Off the Wall" was my first introduction to Sheffield. The next year when the Council of Advisers was created, I was happy to join in. At each meeting they had one of the clients come and share her story. She started her introduction with her name and saying that her parents had introduced her to Meth at age twelve. The most recent "Off the Wall" fundraiser featured another client who had the same story. I was around twelve years old when I had my first official volunteer gig assisting with Red Cross swim lessons. I'm reminded each time I visit Sheffield of the stark contrast between my story and those of the Sheffield women. 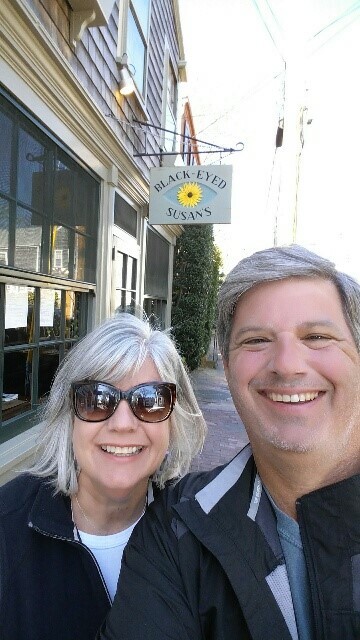 I am thankful to my parents for introducing me to the importance of giving back. Two of my favorite events throughout the year are the "Women who make a difference” dinner and the back to school picnic. I like to think of the "Women who make a difference" dinner as more of a party each spring where the clients honor a woman in their life that have helped them along the way. The women honored in the past have been family members, classmates, best friends, teachers, and clergy. I have been involved with the dinner for the past five years with help from Cindy, Peggy, Emily, Becky, and Jenny. We have a fun theme, buffet dinner, and goodie bags are sent home with each mom. The clients are very supportive of each other when introducing their guests and telling their stories. The back to school picnic is held in August and starts out the school year on a positive note. Backpacks and school supplies are given to each of the children after our cookout of hamburgers and hotdogs. A big thank you to all who are helping the clients "Redefine the Impossible" so they can be safe today and strong tomorrow. The mission of Sheffield Place is 'To empower homeless mothers and their children to heal from their trauma and help them become self-sufficient."